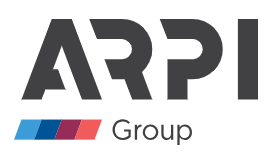 We are a part of ARPI Group, a company which started doing business in Poland in 2001. Our work style is based on elasticity and lack of strict procedures. We recruit for many business sectors and our methods are always adjusted for each individual project. Take advantage of our comprehensive support. YOU DON’T HAVE TO LOOK FOR EMPLOYEES BY YOURSELF ANYMORE. I’LL DO IT FOR YOU. We have been cooperating with small and medium-sized companies for many years, so we perfectly understand their needs. Understanding the employer’s situation allows us to match the best candidates. We don’t rely on the CV database. Each process is an active search for the best specialists on the market. We always match candidates individually with the needs of your company. Knowledge of foreign languages is crucial, which is why we always verify English fluency with a native speaker. Additionally, we check German, French and many other. We guarantee comprehensive support of the ARPI experts – in addition to a dedicated recruiter, you have access to other services including legal, payroll or marketing. For us, the guarantee means carrying out a full recruitment process until you will find the right candidate and achieve satisfaction. During the first meeting we set the requirements and details of the position for which we start the recruitment. The strategy of the recruitment campaign is always tailored to the specificity of the industry and the job position. Initial verification of the submitted applications and selection of the best candidates we’d like to recommend. We meet with each of the selected candidates individually to get to know them better. We prepare a profile containing a detailed description of the conversation with the candidate. We help in the preparation of employment documents and organization of the new workplace for the employee. We know looking for new job is never easy. That’s why it’s so important to have somebody you can trust. Take advantage from our know-how and experience and find the best possible value for the development of your career. Comprehensive support in recruitment for small and medium enterprises. Contact our team today.